1) Write a check or make a cash donation at an event. Checks should be made payable to Eucharist Church. 2) Use BillPay™ or generate a check straight from your bank. 3) Give the gift of stock. For details about how to donate stock in a publicly traded company to Eucharist Church, please email ryan@eucharistSF.org. 4) Make an online donation. At Eucharist Church, we’re committed to growing in the grace of generosity. The God we encounter in Jesus is a God of abundance. In the gospels we repeatedly find Him multiplying resources – bread, wine, fish, and more. Our job is to learn how to trust Him as He guides us into generosity. 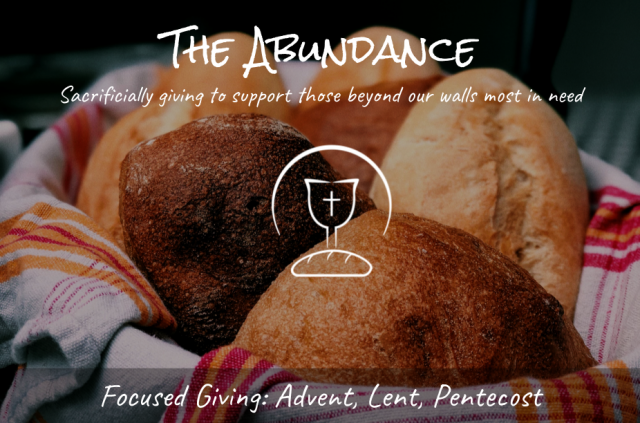 Please memo your check or online donation with either “CityTeam” or “Border Mission” or if you want the money to be evenly split “Abundance Offering”. For more information or to have your questions answered, please reach out to Fr. Ryan (ryan@eucharistSF.org). Eucharist Church is a registered 501(c)3 religious non-profit corporation, recognized by the IRS and the State of California as a tax-exempt entity. We will issue year-end receipts for all donations we receive. Our goal is to steward our finances with the utmost concern for integrity and transparency. For questions about finance-related issues, please email us: finance@eucharistSF.org.